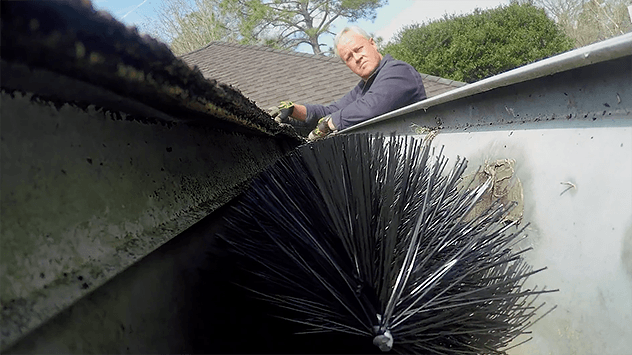 “Today’s Homeowner” host Danny Lipford installs a GutterBrush Leaf Guard. Gutters have an important function: they direct water off the roof and away from the home. But gutters are only effective when they’re clear — and Mother Nature ensures those occasions are rare. Read on to learn about the problems with gutters, and the solution! Gutters have an important function: they direct water from your roof and away from your home. But they often fail because of leaf buildup. Clogged gutters can send water pouring over the sides to pool around the foundation. This causes cracks and damage to the foundation, resulting in wet basements, mold growth and expensive repairs. Water from clogged gutters also can damage fascia boards, which could lead to interior wall and ceiling damage. And water that spills over gutters can land on flower beds, small trees or shrubs that surround the home’s base. In addition to landscape damage, standing water can create a breeding ground for mosquitoes and other insects. This is why it’s important to protect your gutters. 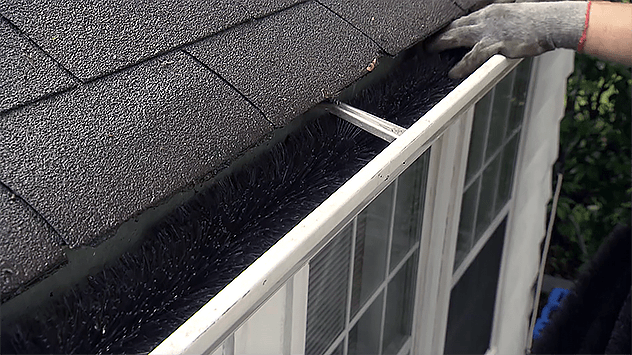 Installing GutterBrush Leaf Guards is easy — just insert the 3-foot sections in the gutter and slide them into position. 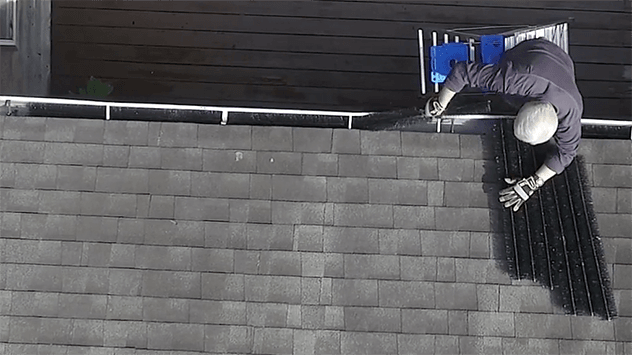 Now, you could spend thousands of dollars purchasing gutter covers or screened systems, or you could stay unprotected and pay professionals for frequent gutter maintenance. Both are unnecessary expenses when you could just purchase GutterBrush Leaf Guards. The 3-foot gutter inserts — which look like giant pipe cleaners — offer an easy, low-cost and low-maintenance way to protect your gutters. 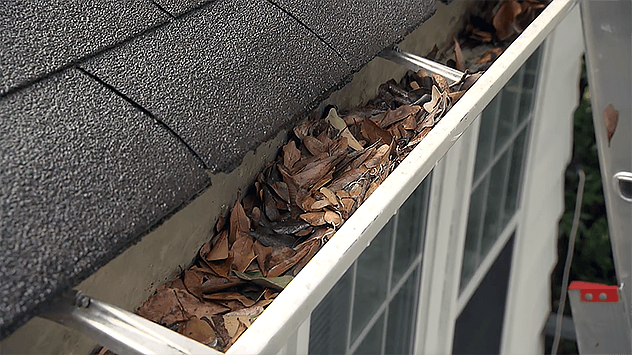 Leaves and debris can’t build up in protected gutters. And birds, rodents and insects can’t nest in them, either. No tools, cutting or fasteners are required to install GutterBrush Leaf Guards; just insert and leave them year-round. •Helps prevent ice from moving down the gutter and blocking downspouts. Black bristles exposed to sunlight warm up and promote quicker melting of any snow and ice. •Helps prevent birds, rodents and insects from nesting in the gutter. •Offers easy access to gutters for cleaning and maintenance. The best part is that the system is affordable. GutterBrush costs thousands less than most gutter covers and other screened systems. Most homes can be protected for $200 to $400, based on the average home needing 60 to 120 feet of GutterBrush. 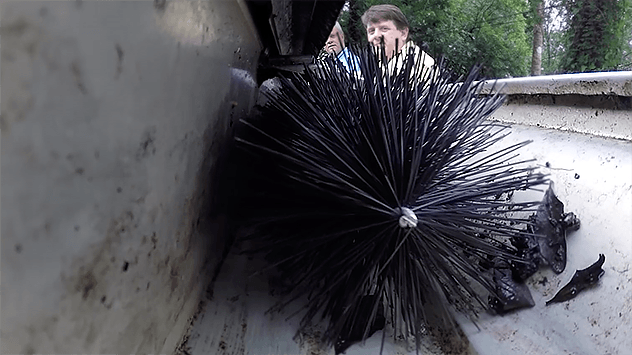 GutterBrush installs easily — just grab a leaf guard and slide it into position. GutterBrush Leaf Guard also can cut costs for regular gutter cleaning, and drastically reduces your labor on a ladder cleaning gutters. Maintenance is simple: Just pull out each 3-foot section, shake it clear, and slide it back in! And you can buy with confidence — GutterBrush is a family business based in the United States and stands by its products. If you’re not completely satisfied, you can return the system for a refund. Learn more about GutterBrush here.